It's a fun gift idea! Great activity book for puzzle lovers! This is a great product. It makes you slow down and take your time. You need to be focused. You can leave any worries behind and just get into the here and now. 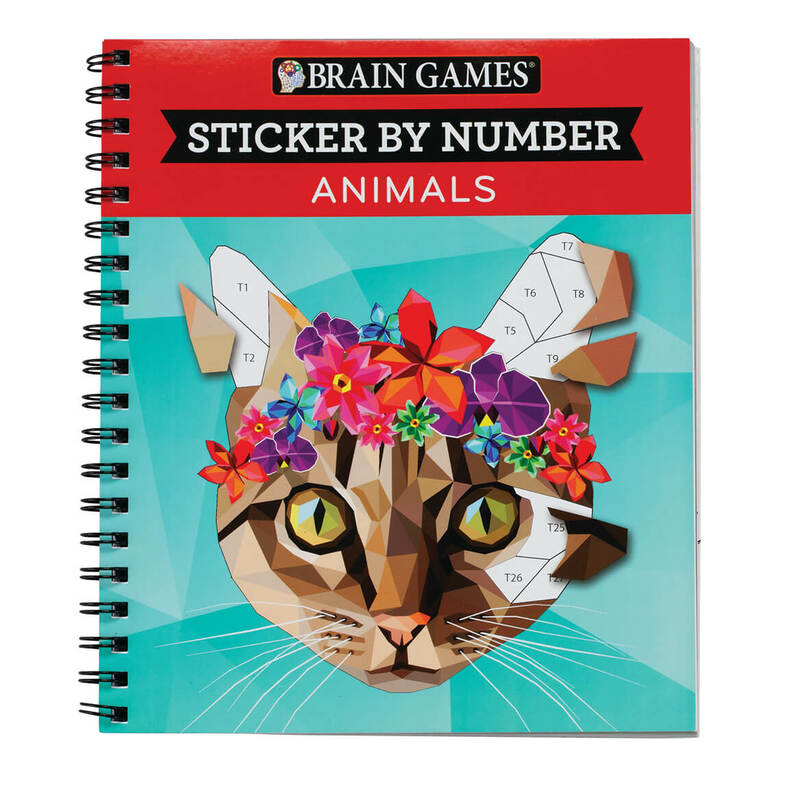 I have tried 2 other brands of sticker by number books, and so far this "brain games" is my favorite. I like to make pictures from stickers. My grandkids love stickers. Since this coordinates number-by-number it should be fun and educational. Bought as Christmas gifts. This book just looks to be relaxing to complete. for HD/AD 5 yr old grandson to work on numbers and concentration. Is this book suitable for one with intellectual disabilities? BEST ANSWER: If the person is able to work puzzles, he might be able to work these. It requires matc hing numbered stickers to the preprinted picture. I enjoyed it, but it might be difficult to put the stickers in the right place. I enjoyed working them. Thank you. 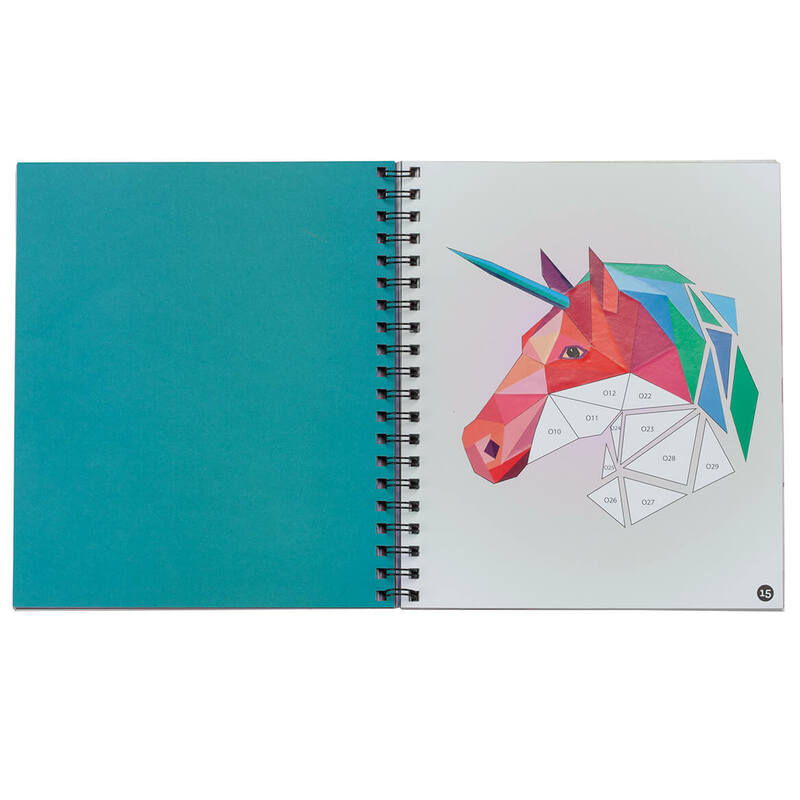 Our adult daughter loves stickers and puzzles and I was considering this for her birthday. As with most activities we would have to work at it with her so I think it would be a good purchase. Thanks again for your input. Have a great day! forgot to tell you--I,m wheelchair bound and 73 years old--If I can do the stickers, anybody should be able to with some assistance--I loved the sticker books!! really a lot of fun and good for "brain" and hand dexterity!! Can a 5 year old do this? BEST ANSWER: As long as the 5 year old can read the numbers or at least match them.The numbers have to be put on in order, since some of them overlap. 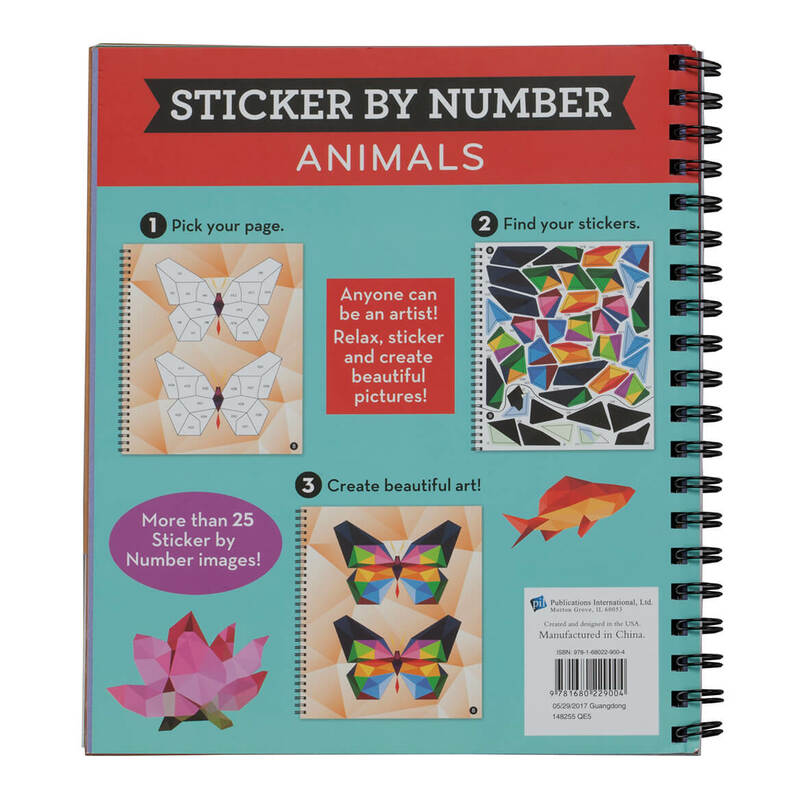 I bought this for my 7 yr old niece, so she knew the numbers from school. She loved this book!! If another person is with the 5 yr old to help, it would be fine also. It is an amazing book so I ordered another for myself. Hope this helps! if he can work puzzles, he might be able to do some of them,but he vwould need assistance with the little pieces.of course I'm 74 years old, but I thought these were really great as an alternative to puzzles. I really enjoyed working them. wish there were more variety. I think this would be hard for a 5 year old to do, most of the stickers are small for little fingers to remove from sheet and put in the correct space. Some of the numbers on stickers go up to 70 but my friend that has a 5 year old thinks he could do this. With some fine motor skills, yes, but she might be disappointed with results. There are more books just like this with bigger pieces. I think so...with a little help and guidence from mom, dad or grandparents it would make a learning tool fun.